Having a budget is always important when it comes to knowing what we need and want to purchase. In cases like this, a weekly budget spreadsheet calculator is a very useful tool to utilize. The first kind of these templates to be reviewed is a rather simple one. 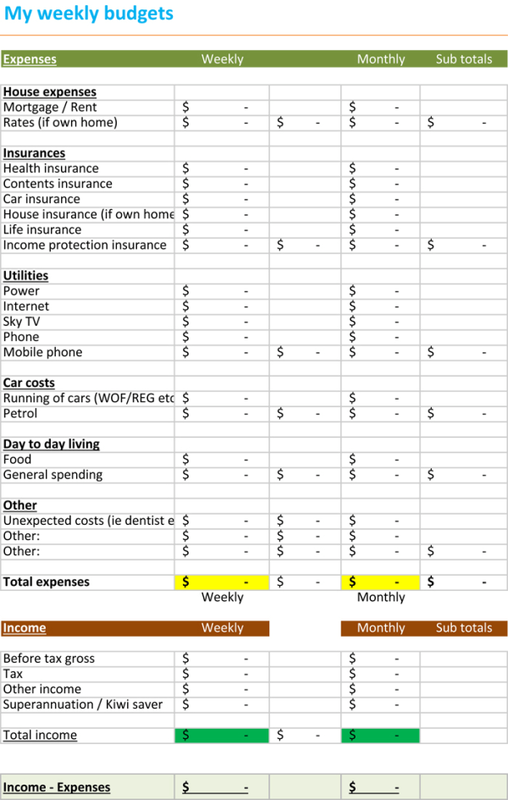 This one is set up as more of a weekly budget spreadsheet forecast and is separated into two main sections: income and payments. The income section contains areas for money that you may make as part of your overall salary from work, rent that you collect from properties that you may manage, etc. The payments section contains areas involving various things that you will need to make payments on during the week, including groceries, rent, gas, bills, etc. At the bottom of each of these sections is listed a space in which you can write the total amount of the payments. This particular template is one that was created using Microsoft Word and can be edited in similar programs in accordance with your particular needs and/or wants. 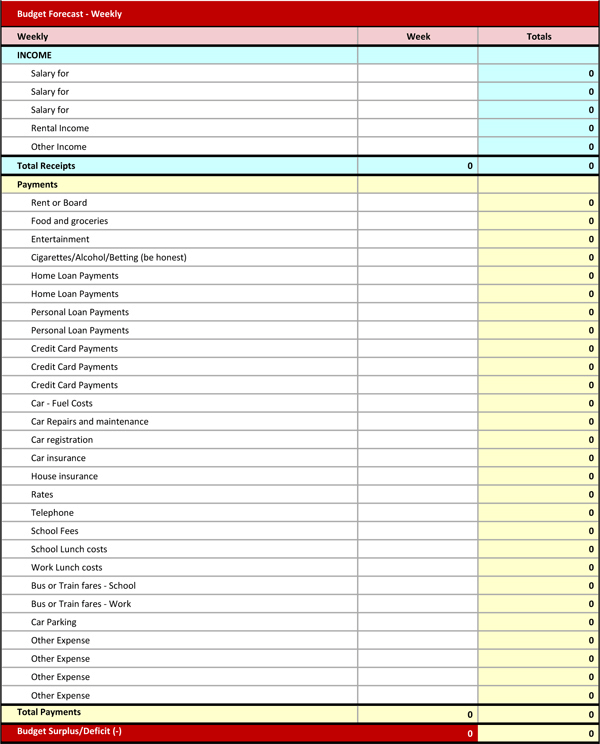 The second type of weekly budget calculator template to be reviewed is a more complex one, as it not only includes weekly payments, but monthly payments as well. The expenses listed on this template are divided up by category, such as various types of insurances (car, health, home, life, etc. ), expenses for your home (mortgage, rent, etc. ), utilities (power, telephone, internet, etc. ), car (gasoline, oil changes, etc. ), etc. You are able to list separate prices for each of these expenses for both the week and the entire month Additionally, you can also list the subtotal for each expense, as well as make separate notes, such as exactly when payments for each expense were made and any other kind of detailed information that you feel may be prudent to include. Similar to the first weekly budget calculator template reviewed, this one was created using Microsoft Excel and is able to be edited in any way depending on your overall needs.